Think that we’ve finally reached the bottom of the housing market? Let’s go back to how things looked in October 2007… we had a huge wave of subprime mortgages resetting, with a peak at about $35b (per month) in resets occurring in mid-2008. 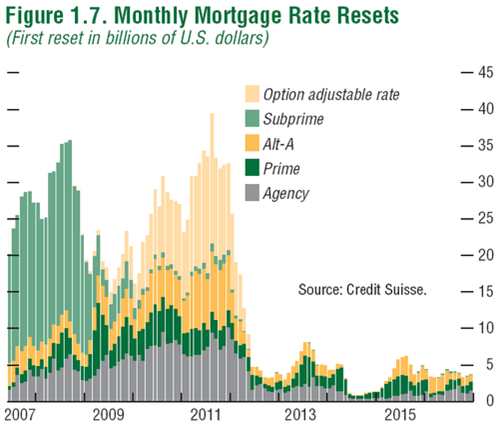 A majority of the resets were subprime. Here we see another wave of resets coming, this time peaking at $40b in resets near the end of 2011. 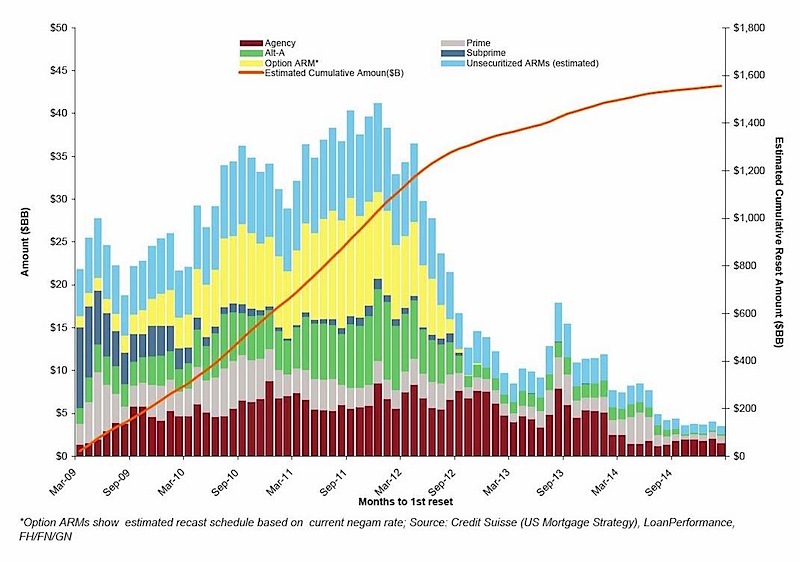 Subprime is a much smaller portion of the resets, but we still see between $20b and $25b of mortgages being reset every month through the rest of 2009 and 2010. If mortgage rates stay low, this might not be a problem… but it doesn’t seem to me like we’re in the clear yet.